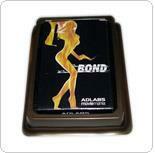 Manufactured by the most Reliable and Customer-Centric Playing Card Manufacturer Globally. TMCards Blister pack playing Cards can enhance visibility without risk of product contact. Using a pre-moulded PVC shell heat sealed together with the printed backing card .This technique enhances products of any value allowing the consumer to perceive they are the first to touch the product within. Combining clean presentation with a versatile design (enabling suspension on retail hooks or free standing on a shelf). Blister pack playing cards by TMCARDS are safeguarded against tampering. It provides a presentable appearance for the product. We at TMCARDS, use Clamshells & High Frequency Welding in blister packaging. Clamshells have rigid PVC on the front and back allowing a re-useable package that can clip lock together. To provide a more secure package, High Frequency PVC Welding is available to protect against pilferage as the only way to open the package is with a pair of scissors. Clamshell with its luxurious, rich, crystal clear appearance has become the number one choice in retail packaging for products of high value. TMCARDS Dot Com ensure cleanliness, hygiene and quality at all times. Automatic & Manual Shrink Wrapping may also be opted. Any product can be Shrink Wrapped, enabling protection and a clearly presented product. Shrink wrapping can completely seal the product for retail and gives a thicker film for added protection against scuffing. 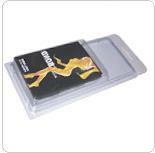 TMCARDS Blister pack playing cards ensure an efficient way to present and display the product.